It is necessary to go back two decades to understand how and when fundamental research started having an impact on this industry. 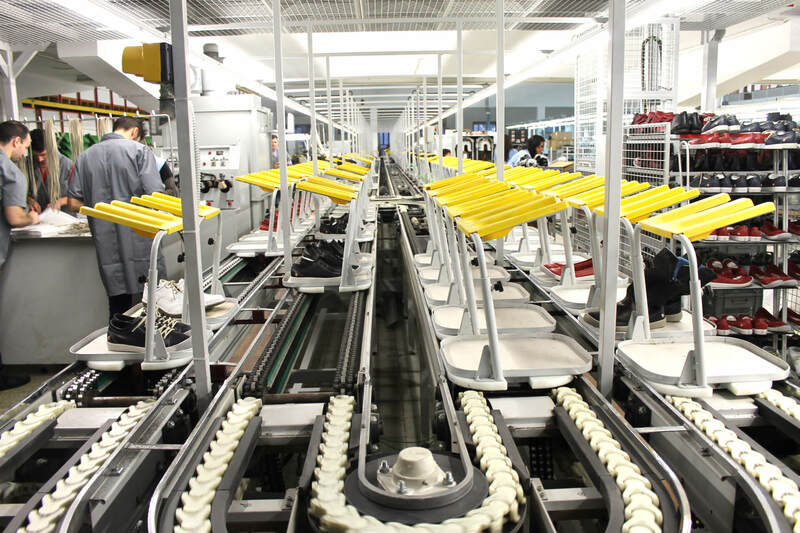 INESC TEC’s contribution to the footwear industry started in the 1990s with the automation and computerisation of the existing systems and with the development of new equipment. 1992 was the year the first footwear projects started and the goal was to develop flexible logistics systems. In 1996, as part of the FACAP ‑ Fábrica de Calçado do Futuro (Footwear Factory of the Future) and in partnership with the company Lirel and the CTCP (Portuguese Footwear Technology Centre), INESC TEC installed the LOGICSTORE ‑ a highly innovative system for storage and automatic distribution to seam lines ‑ at Kyaia’s factory in Paredes de Coura. It quickly became apparent ‑ with the first installations in industry, with the roadmap defined by the sector and the modernisation of equipment ‑ that it would be necessary to take a closer look at the entire footwear manufacturing system and use more sophisticated management and optimisation procedures in order to respond to the new needs and challenges of the footwear sector. It is possible to state that the generation of specific knowledge started in the 1990s. At this time, over 14 papers were published, and more than 19 MSc and 11 PhD theses were concluded. M. Teresa Costa; J Soeiro Ferreira, “A Simulation Analysis of Sequencing Rules in a Flexible Flowline”, European Journal of Operational Research, vol. 119, pp. 440-450, 1999. The research areas at INESC TEC grew and became more diverse, naturally following and supporting the needs of the footwear sector. Therefore, besides system simulations, models were designed to optimise manufacturing lines, and algorithms and heuristics were developed to balance those lines. More recently, sales prediction techniques have been applied in shop distribution systems and the results of the research in recommendation systems have been applied in online and physical stores, thus covering the entire footwear value chain. Modern assembly line at Kyaia’s factory. 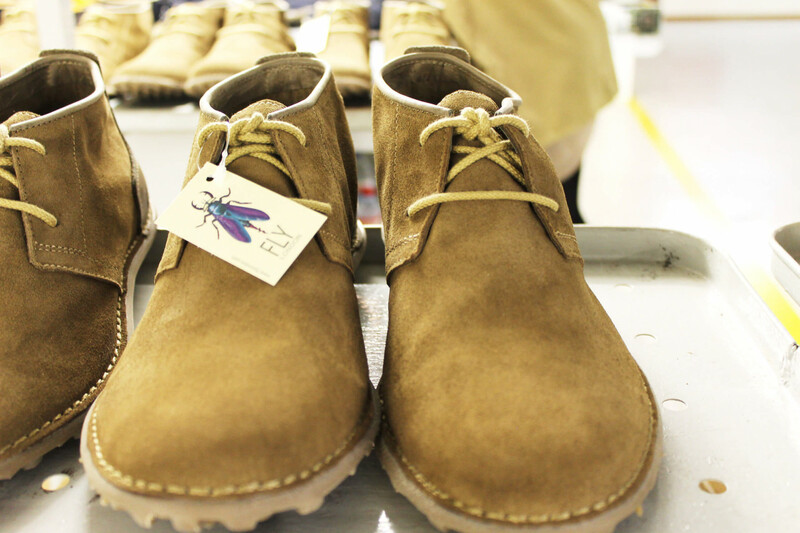 In 20 years of research in the Portuguese footwear sector, a total of 14 projects featured INESC TEC teams. Some of the projects have led to prototypes: AGILPLAN (development of a planning system for small and medium footwear and footwear component producers), ShoeID (a solution that optimises processes and helps to avoid losses in the logistics chain, incorporating RFID technology in the initial footwear production cycle), High Speed Shoe Factory (a new solution to produce customised footwear in 24 hours) or SIBAP (an automated balancing system for production lines, with graph operating sequences, specifically designed for labour-intensive production). In this innovation, design and prototyping path, two European patents have been registered: EP1737768B1‑Distribution and temporary storage system of transport units, referring to a flexible and efficient system for seam operations in the footwear industry, and EP2135823‑Modular multi-ring system for flexible supply of workstation, referring to the simultaneous production of different types of shoes in the same production line. Presentation of the first results of the HSSF project (2016) at Kyaia’s factory in Paredes de Coura. The Portuguese footwear industry is one of the most advanced in the world, transferring its technology to the five continents. With 1,696 companies, the footwear industry has been strongly investing in high added value products, based on the development of new equipment, on the use of Information and Communication Technologies (ICT) and ever demanding management models. The simulation, flexible logistics, new optimisation models and methods, predictive techniques and recommendations systems applied to the sector have resulted in a more flexible and optimised production, as it is possible to produce small series of products faster and more efficiently, and greatly influencing the current positioning of the footwear industry. Since 2009, Portuguese footwear exports have grown over 50% to almost 1 900 M€. If to this number we add the remaining sectors of the cluster, the exports represent over 2 billion euros. This growth in exports has been accompanied by a similar growth in the Trade Balance, which today is more than 1 300 M€. Since then, the average prices of Portuguese footwear have more than doubled due to the smaller series of shoes being produced, which allowed the supply to become more flexible and improved the image of the sector. The Portuguese footwear sector is today the 2nd most expensive in the world and is perceived as the “sexiest” industry. The contribution of the footwear sector to the Portuguese trade balance is today one of the most significant in the entire Portuguese Economy. And INESC TEC has actively contributed to these numbers (from APPICAPS, the Portuguese Footwear, Components and Leather Goods Manufacturers' Association), by introducing innovation in the entire manufacturing process. The significant growth of the footwear sector has also led to the reinforcement of the sector’s workforce, with a 20% increase in employment levels. The impact of these research lines touched the entire footwear sector, from equipment goods producers, to factories and information technologies companies. It is important to stress two industrial partners that were instrumental to this whole process: Kyaia and Flowmat. 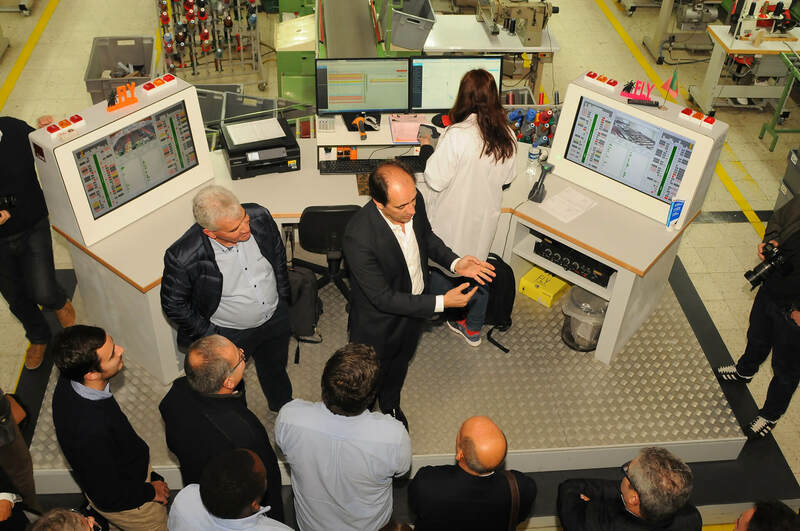 Kyaia Group in the Guimarães factory. 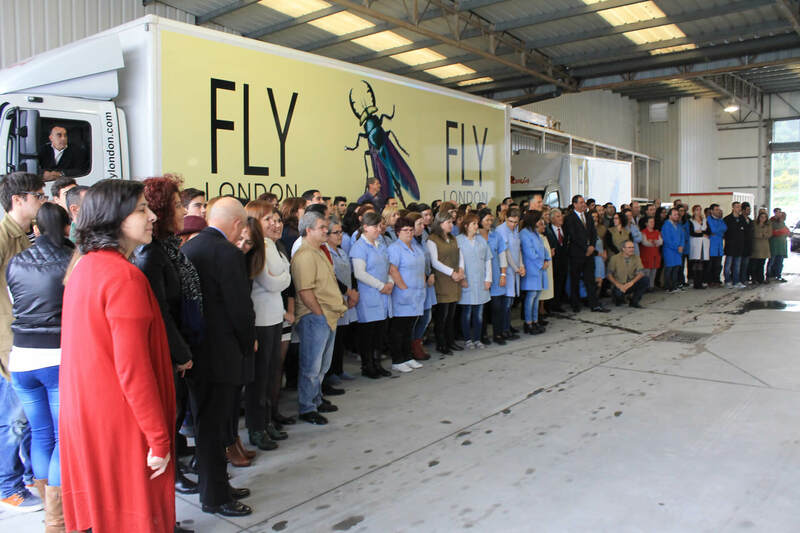 Kyaia, which is currently the largest Portuguese footwear manufacturer and one of the companies with the most advanced manufacturing process, has presented gains in production flexibility and productivity, reflected in the simultaneous production of over 30 models. Furthermore, the company has increased its production by 15%, reduced stocks by 20% and decreased order manufacturing times by 10%. Currently, the company can produce a pair of customised shoes in 24 hours. Another example, now in the sector of equipment goods for the footwear industry, is Flowmat, whose production of new materials, components and technology for the footwear sector amounts to 6M€. For the last twenty years, the footwear sector has been standing out in international markets and progressing in the value chain. The industry has reinvented itself, responding more quickly to needs and becoming more flexible. Moreover, the footwear industry has strengthened its capacity to develop the product and raised its quality standards. Today, the Portuguese footwear industry has a solid reputation in manufacturing skills, and that is one of its main strengths. Equipment goods and processes are, for that reason, one of the cluster’s strategic lines of action for 2020, in accordance with the Footure plan from APPICAPS, which predicts investments up to 49 million euros.